Large newspaper companies are struggling with a very real-world version of Clay Christensen’s “Innovator’s Dilemma” — namely, the need to transition from a print-focused business model to a digital one, with all the mess and upheaval that entails. But how do you actually take a chain of almost a hundred small daily and weekly newspapers and transform those newsrooms in real time? 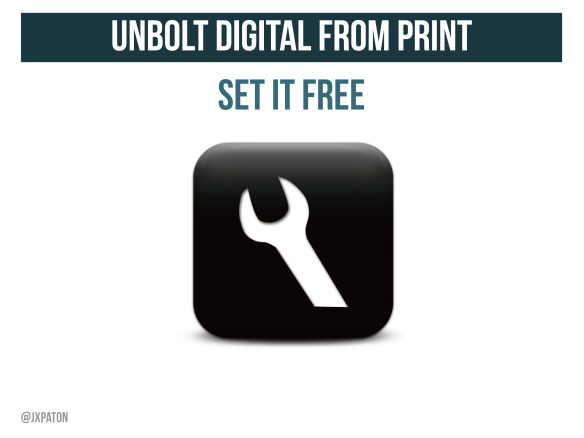 That’s what Digital First Media is trying to do with what it calls Project Unbolt, a new effort that CEO John Paton launched earlier this week. Even Digital First Media — which under Paton has made a point of pushing the digital transformation of its newspapers as hard or harder than any other chain in the country — the continuing decline of print means that it is sliding two steps backwards for every step it takes forward: Paton said profit is up more than 40 percent over the last three years, but that still means it is down by almost 60 percent since 2006, the peak year for newspaper advertising. So how does Digital First, or any other newspaper chain, get to where it needs to go? Paton said that Project Unbolt, which is being driven by editor-in-chief Jim Brady — the former head of the Washington Post‘s digital unit — will go through every part of how the chain’s papers currently produce the news and make digital the focus and print the afterthought, even though print still produces the lion’s share of the company’s profits as it does for most newspaper publishers. Live and interactive: Newsroom efforts should be focused on being digital first and live/interactive whenever possible. “Reporters and/or visual journalists covering events plan for live coverage unless they have a good reason not to,” Buttry said. As both Buttry and Paton have hinted in their respective blog posts and presentations, the kind of transformation that Digital First is trying to engineer isn’t just about feel-good efforts at community engagement like “open newsrooms” — it’s also going to involve making hard decisions about resources, including laying people off and cutting costs in a variety of other ways. To take just one example, one of Digital First’s newspaper units has had to file for bankruptcy protection not just once but twice to deal with legacy costs like pensions. 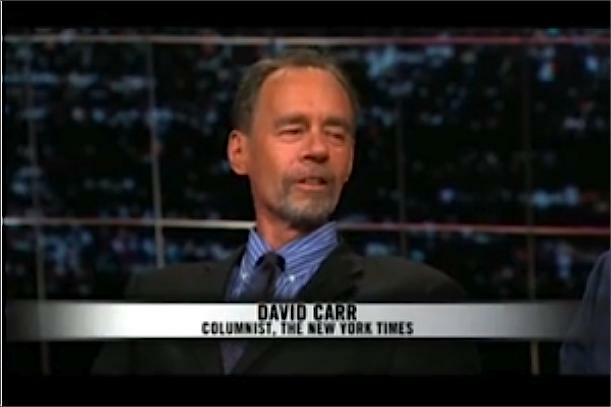 David Carr, the media writer for the New York Times, came up with a terrific analogy for what most newspapers are going through at an event in Toronto that I attended: Newspaper companies are in one room, he said — the print room — and they know they have to get to another room (the digital room) but at the moment most of them are stuck in the hallway, and it’s dark, and no one really knows how long it is or how they are going to get there. In many ways, digital-only media entities such as BuzzFeed or Gawker (or Gigaom) have an easier time of it because they aren’t dragging around a legacy business that is declining rapidly but still makes up a large part of their revenues. Any decisions that are made can be taken based solely on what is right for a digital platform or online audience — there is only one room. While Digital First is still stuck in the dark hallway along with everyone else, it at least appears to be trying hard to fight its way to that digital room. How long the journey will take is anyone’s guess. Thanks for this thoughtful analysis of the difficult transformation we are undertaking, Mathew. In some ways, your dark hallway metaphor is as helpful as our unbolting metaphor. We could have called this Project Flashlight. One point of clarification, though. I’m not sure where you saw hints about cutting costs or staff in my posts, but I see this transformation as separate from those issues. 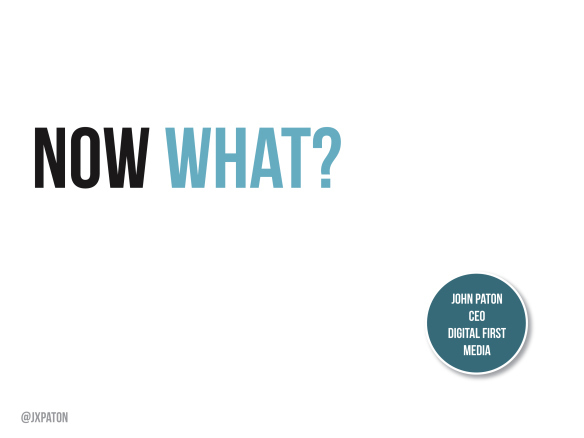 Companies with their roots in print, including Digital First, have been cutting staff and other costs for several years now and likely will continue, whether we undertake this transformation of our workflows and culture or not. This project is focused on building better digital newsrooms, period. If our revenue picture demands further cuts, this will neither cause nor prevent them. However, I hope it will make us more efficient and produce more and better digital content, helping us generate more revenue and eventually start growing again. But first things first: We have to change how we work and think, regardless of the company’s revenue and staffing decisions. Thanks, Steve — maybe the hints were me reading more into it than your posts justified, but I know from experience (as I’m sure you do too) that cuts or restructuring of some kind are often necessary as papers move from traditional ways of doing things. I agree the larger picture is about reinvention rather than just head count though — thanks for the clarification.